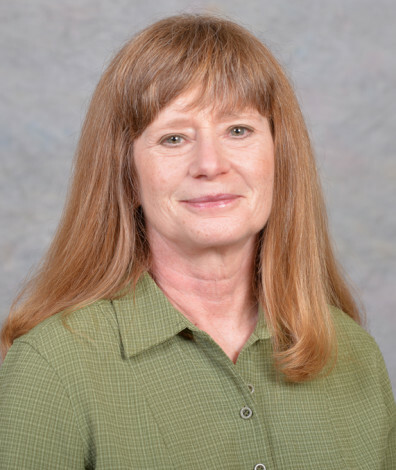 The newest Fellow of the Mycological Society of America, award-winning Washington State University scientist and teacher Lori Carris helps us understand the incredible impact that fungi have on our crops, our lives and our world. Read More. Philip Steenstra is an Army captain and graduate student at Washington State University pursuing a degree in environmental science. He was recently highlighted on the Council of Graduate School’s website. Read More. Washington State University doctoral student David Alpizar has been selected for a highly competitive internship this summer for ETS in Princeton, New Jersey. While there, he will be working on the TOEFL test, studying assessment, test score validity, and test fairness. ETS has developed a number of student performance assessments used by universities, including the GRE, TOEFL, and Praxis. Alpizar’s work with ETS will draw upon his research in the field of educational measurement and psychometrics at WSU, where he has been working with Dr. Brian French in his psychometric laboratory within the Learning and Performance Research Center. While Alpizar has always imagined working in academia, he looks forward to working in industry this summer and exploring the idea of a career there. “It feels very surreal,” he said. Alpizar came to WSU in 2015 to pursue a doctoral degree in educational psychology under the mentorship of French. While working on his master’s degree from California State University, Northridge, he attended a conference in Portland, Ore., where he presented a poster on his work. There, he met WSU College of Education faculty Sola Adesope, who believed Alpizar would be a good fit for the educational psychology doctoral program at WSU. “But I’d never heard of that place,” Alpizar said—who immediately went home, checked out the program, and emailed French. 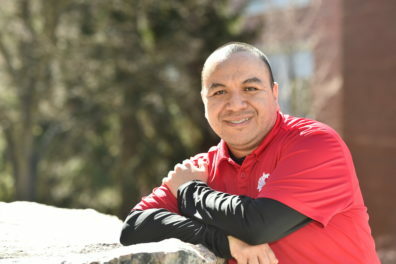 French responded that he believed Alpizar would be a good match for his program and sent him information about the WSU Graduate School’s Research Assistantship for Diverse Scholars (RADS) program, which sponsors a campus visit, and, if selected for admittance, includes a research assistantship and tuition waiver. Alpizar was selected to visit WSU spring 2015. Alpizar was offered a research assistantship in French’s laboratory through the RADS program for fall 2015. French was pleased Alpizar selected WSU and the Educational Psychology program as the environment to continue his professional development. Originally from Mexico, Alpizar moved to the San Fernando Valley in California in the early 1990s. He graduated from high school in 2000, then attended the Los Angeles Mission College for his associates degree and California State University Northridge in 2013 for his bachelor’s and 2015 for his master’s degree in psychology. Although he began his education in mathematics, he quickly became interested in psychology while working as a tutor for adults with disabilities at Los Angeles Mission College. As an undergraduate at Northridge, Alpizar received a Maximizing Access to Research Careers (MARC) scholarship, which helped train him for graduate research work. When he began conducting research, he enjoyed the way that math statistics were used in psychology research, and realized his skills in mathematics would be valuable for his graduate work. Alpizar’s master’s thesis, which examined whether widely used depression assessment, i.e., Patient Health Questionnaire (PHQ-8,) is interpreted the same among emerging adults of Mexican and Central American men and women residing in the United States, was published in the November 2017 Journal of Psychological Assessment, (https://www.ncbi.nlm.nih.gov/pubmed/29199838) a highlight of his career so far. He also co-authored two published articles last year in the Journal of Advances in Medicine and Medical Research and the Journal of Latina/o Psychology. Alpizar will be starting his dissertation work this year around his research in French’s laboratory, including testing assessments’ psychometrics properties, and examining the performance, power, and precision of test statistics under several conditions (e.g., sample size). He will be taking his preliminary examination in fall 2018. “David is a pleasure to work with,” says French. “His motivation and energy for his work is very high. Most importantly, he is intellectually curious, which enables him to drive forward on his ideas.” Under French’s mentorship, Alpizar is the fifth doctoral student who has obtained such an internships in recent years, and is the second RADS student in two years to do so. Alpizar says he is thankful for the love, mentorship, and support given by his family, the faculty and staff at WSU, and the faculty and staff at California State University Northridge. PULLMAN, Wash.—Washington State University engineering graduate students Kevin Estelle and Tyler Fouty have been awarded 2018 National Science Foundation Graduate Research Program Fellowships (NSF GRFP). The NSF GRFP supports outstanding graduate students in STEM disciplines who are attending accredited institutions. The program received more than 12,000 applications this year, with 2,000 fellowships awarded nationwide. The award provides three years of financial support that includes a stipend and funds to cover tuition and other university fees. The application requires students to demonstrate their potential for significant achievements in science and engineering research, and once selected are expected to become knowledgeable experts who can contribute to research, teaching, and innovations in science and engineering. Fouty was recruited to WSU through the combined efforts of Civil Engineering, the Plateau Center for Native American Studies, and the Graduate School, with funding for his first year from a Research Assistantship for Diverse Scholars (RADS). Fouty was also a participant in a NSF-funded alliance, PNW-COSMOS, supported by a grant to the Graduate School from the NSF’s Alliances for Graduate Education and the Professoriate (AGEP) program that is aimed at developing and studying a model of culturally compatible recruitment and mentoring for American Indians/Alaska Natives. Fouty’s undergraduate institution, Salish Kootenai College, a tribal college on the Flathead Indian Reservation, is a partner institution in the AGEP alliance. Fouty received his undergraduate degree in hydrology from Salish Koontenai College. Now a civil and environmental engineering master’s student at WSU, he is researching the resilience of simulated streambed culverts to prolong fish habitats. Because fish cannot swim through many of the culverts in Washington state to get to their spawning habitat, Fouty is creating a complex simulation of streambeds with culverts in the Albrook Hydraulics Lab to understand the problem. “We’re designing how to lay out the sediment for a natural stream bottom to help the fish get through the culverts and back to their spawning grounds,” he said. Estelle, who received his undergraduate degree in mechanical and materials engineering from WSU, worked closely with his advisor—Arda Gozen—and started his application long before the deadline. He also looked up the papers from previous winners to see what the committee looked for in applicants. Estelle is a now a mechanical and materials engineering doctoral student conducting research on 3D-printed bio-dissolvable microneedles that can be mixed with medicines to treat disease. “If a person has a localized skin cancer, or skin disease, you would put an array of these needles on the skin and they would dissolve into the capillaries with the medicine over a certain amount of time,” says Estelle. Homeschooled on a farm with several siblings, Estelle credits his mother for his interest in engineering. Estelle and Fouty will join 16 other WSU students who are currently funded by a NSF GRFP. The Graduate School is pleased to announce that Martha Cottam is the recipient of the 2018 Graduate School Mentor Academy Award for Excellence. Professor Cottam, who is also the Graduate Studies Director of the School of Politics, Philosophy, and Public Affairs, has worked at WSU for more than 25 years, and is one of the longest-serving members of the Graduate Mentor Academy. “I was really surprised and honored to receive the award,” says Cottam. The Graduate Mentor Academy (GMA) was started around 2005 for the purpose of identifying graduate faculty with significant mentorship experience and skills, and providing them with additional training, according to Lisa Gloss, interim dean of the Graduate School. Cottam is particularly proud of her record as a member of the GMA—none of the students she has mentored has failed their exams or defenses. Cottam says she enjoys volunteering for the Graduate Mentor Academy because of the broad scope of students she’s been able to work with, including graduates in mathematics, education, plant biology, and many other subjects. Cottam, along with graduate student scholarship awardees, will receive her award at the annual Graduate School Evening of Excellence on April 19.